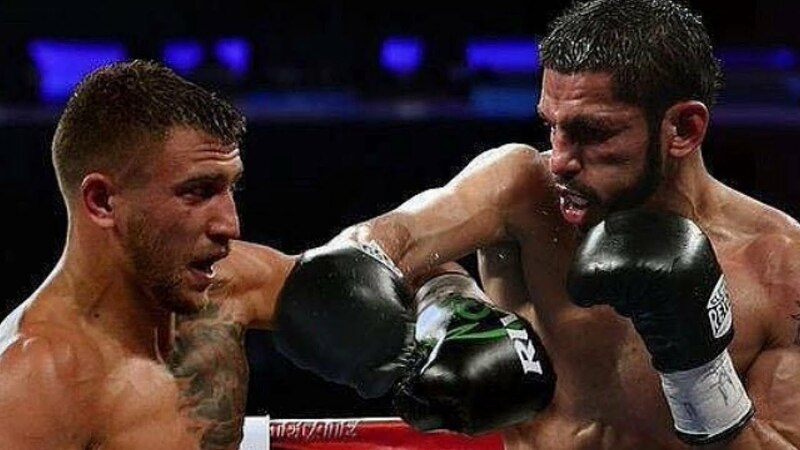 In a battle of two of the world’s pound-for-pound best, JORGE “El Niño de Oro” LINARES will defend his World Boxing Association (WBA) and Ring Magazine Lightweight titles against VASILIY “Hi-Tech” LOMACHENKO on Saturday, May 12, at “The World’s Most Famous Arena”, Madison Square Garden. Linares vs. Lomachenko will be televised live and exclusively at 8:00 p.m. ET on ESPN and ESPN Deportes and stream live on the ESPN App at 6:30 p.m. ET. Promoted by Top Rank, in association with Golden Boy Promotions, Teiken Promotions, and Madison Square Garden, tickets will go on sale to the general public at 12 p.m. EST on Friday, March 23. Priced at $506, $406, $306, $206, $106, and $56,including facility fees,tickets can be purchased at the Madison Square Garden Box Office, all Ticketmaster outlets, Ticketmaster charge by phone (866-858-0008), and online at ticketmaster.com and MSG.com. For more information visit: www.toprank.com, www.espn.com/boxing, www.goldenboypromotions.com; Facebook facebook.com/trboxing, facebook.com/trboxeo, facebook.com/espndeportes; https://www.facebook.com/GoldenBoyBoxing/ Twitter twitter.com/trboxing, twitter.com/trboxeo, https://twitter.com/GoldenBoyBoxing, @ESPN@ESPNBoxeo.